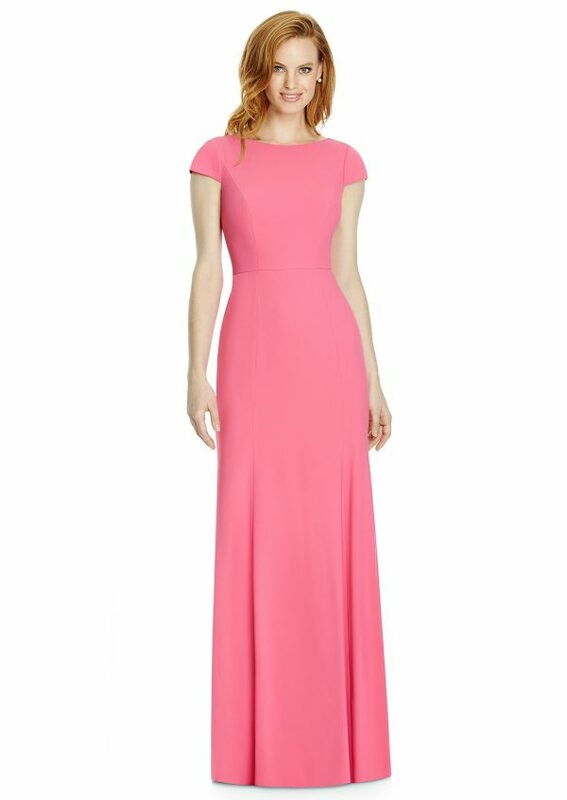 Casual elegance completes the flattering silhouette of this full-length cap sleeve dress. Made of crepe, the natural waist features a delicate bow detail on the back. 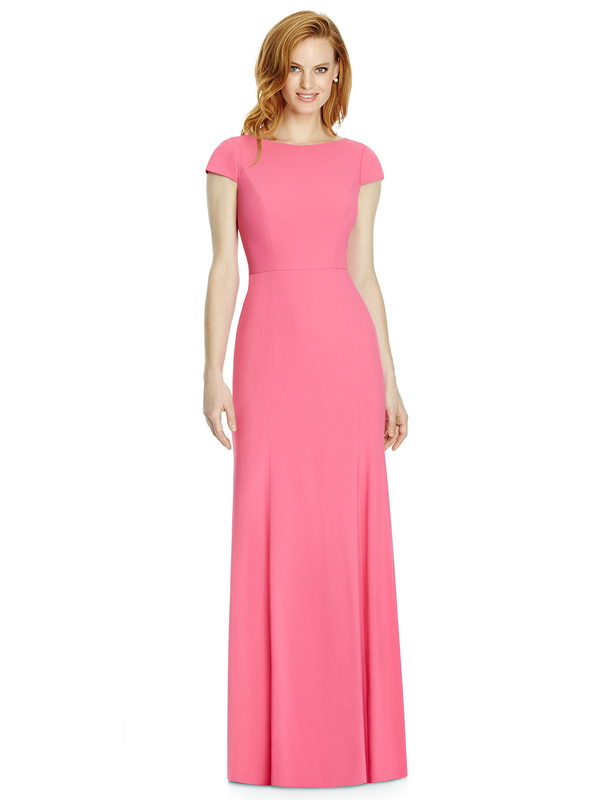 A deep V-neckline and deep V-back offer a balanced sense of sophisticated, completed with a flared trumpet skirt.